Last Saturday at 8.00 P.M. 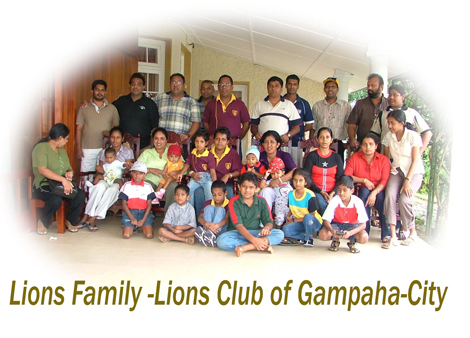 Lion Jayantha Gunawardana MJF, presently the Didtrict Governor of District 306 B 2 was the Extension Chairman of the Lions Club of Gampaha City & Lion W.A Thilakarathne was the Guiding Lion. After a three orientation sessions the club members were inducted by District Governer Lion Ajith Devadason on the day of 26th of March. 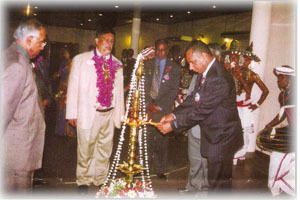 The Charter Presentation was held on 7th May 2006 and the immediate Past District Governer Lion Graetian Gunawardana M.J.F was the chiefguest.